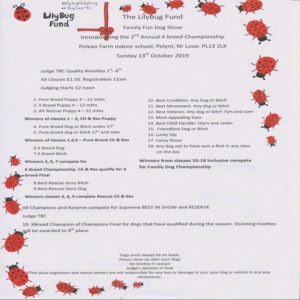 A Family Fun Dog Show with hopefully classes for everyone with dogs from Pedigree to the family pooch. 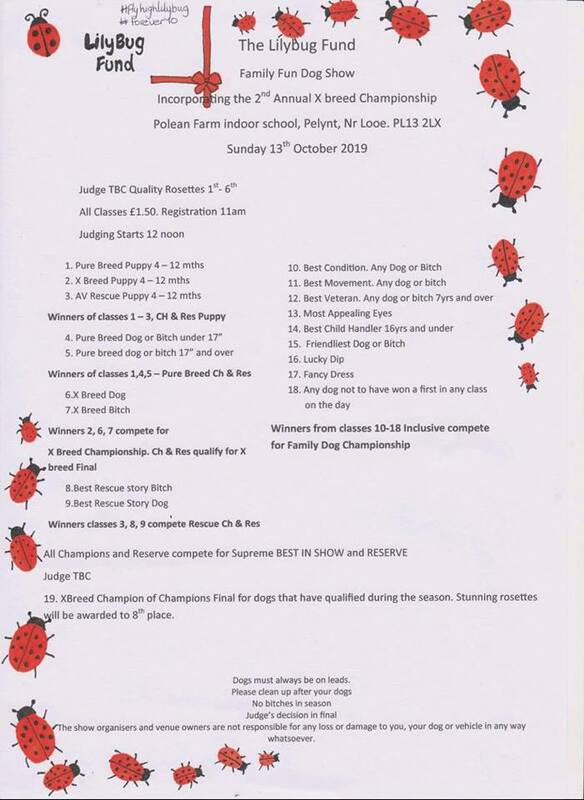 Our ultimate goal is to raise money for this wonderful cause but we also want you to have a great day out, win nice rosettes and as the show develops a few trophies and prizes will be on offer too. The Show will also incorporate the 2nd Crossbreed Championship Final as this was huge a huge success last year. Show organisers should please PM Jill Saint to be considered for a qualifier. Shows must be in Devon or Cornwall . You will be sent Qualifier rosettes to award at your show free of charge. Applications for Trade stands also welcomed.